Blogger profile: Jason Phelps has an Ancient Fire for wine! Jason Phelps is a blogger with many talents. Not only does he write about wine, food, and yes – beer, he actually makes some of his own hooch to keep things interesting. His blog, Ancient Fire Wines, bring new idea in food and drink to his readers from New Hampshire, his home base. Jason has been writing since 2008, so we look forward to having him join us at the Wine Bloggers Conference to bring his perspective as both a home winemaker and a blogger. Jason is looking forward to trying the array of wines at the WBC and is looking forward to meeting like minded wineaux and writers in Virginia next month. Please stop by and say hello to Jason on TWITTER and check his blog out at http://www.ancientfirewines.com! It’s hard to believe that the Wine Bloggers Conference is coming up in 71 short days. Currently, the WBC is sold out, and there is a waiting list that grows every day. We here at the WBC Scholarship Fund are clinging tightly to 10 slots for scholarship reciepiants, but we’re struggling to find funding for those 10 kids. Times are tough, Walla Walla is expensive to get to, etc etc. Enter Kaz & randy of the really big shoe, Wine Biz radio. Last week our illustrious hosts shouted from the treetops how important the Wine Bloggers Confernece is becoming; the week before the interpid Tom Wark discussed hwo wine blogging has developed and channged in the past 5 years, and how it is influencing the wine industry. To stand behind that belief, Kaz of Kaz Winery has offered a pledge gift of wine. that’s right kids, those cool chatchis that get you to give money to the public TV stations has gone mainstream – to the WBC! If you, our kind and dear readers and friends, can scrape up $100 or more from your couch cushions, tip jars, stripper money, bras, or the dust garden behidn the couch, kaz will give you some of his really cool wine in exchange. All you have to do is tweet, email, text, smoke signal or run up to me and scream “KAZ SENT ME!” drop a cool C Note in my hand (or PayPal Account) and there you go. See how easy that was? C’mon! What do you have to lose! 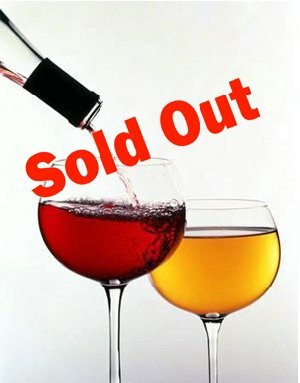 WBC 10 is SOLD OUT! Over 300 wine bloggers, food bloggers, and industry representatives think that the third annual Wine Bloggers Conference is important! The conference sold out in record time, and there is now a waiting list. What this means for the scholarship is that we will have to close applications early, in order to allocate the 10 spaces we reserved for scholarship recipients ASAP since they are going to be very much in demand this year. So, for all of you Wine Bloggers that are applying for a scholarship, the deadline is TOMORROW! That’s Friday April 9th. I will however give you the weekend to get your apps in, since this is very short notice. We will be allocating the funds next week, on a merit basis and you will be notified if you are awarded a scholarship. We still desperately need your help and donations! We are not currently able to fund every request that came in; there are currently 13 scholarship applications on deck. The committee will need to make some difficult decisions over the weekend, and without your generous support, we will be unable to fulfill all of their wishes. Please note that we now have some cool offers of support coming in from the field. Please tune in to Wine Biz Radio FRIDAY April 9th to find out what the special offers are! And please, keep those donations coming.